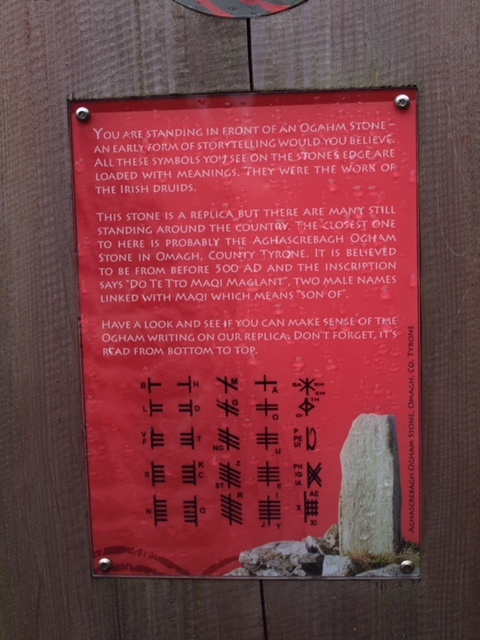 Written Gaelic is first attested in Ogham inscriptions from the fourth century AD, as shown in this replica from Inishowen. This stage of Primitive Gaelic transitioned into Old Gaelic through the fifth and sixth centuries, absorbing Pretanic and Brittonic influences. 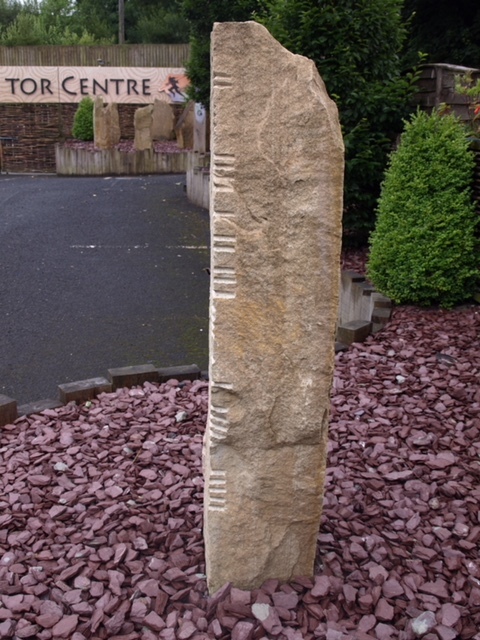 By the tenth century, Old Gaelic had evolved into Middle Gaelic, which was spoken throughout Ireland, Scotland and the Isle of Man and is the Common Language of a large corpus of literature, including the Ulster Cycle. By the twelfth century, Middle Gaelic had evolved into Modern Gaelic, the purest form of which in Ireland is now the Ulster Gaelic of Ranafast.